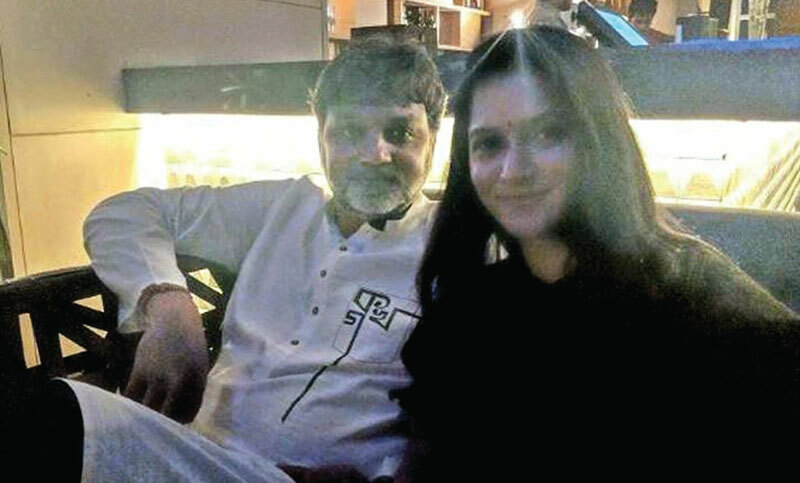 Mithila is the mystery woman in Srijit’s life! Speculation is rife that Srijit Mukherji, the most eligible bachelor in Tollywood, may just be taken. The filmmaker’s close associates say there’s a mystery girl in his life and that he has been going steady for some time now. On Saturday night, at a star property on Rajarhat, Srijit walked in with the lady to attend a private bash, and seemed comfortable in her company. Sources say the lady is a Bangladeshi singer, model, actress and development worker—Rafiath Rashid Mithila, reports Times of India. Mithila, who began her modelling career in 2002, did her masters in political science from the University of Dhaka and completed her second masters in early childhood development. A theatre artiste and painter, she also carved a niche for herself in Bangladeshi television and has a considerable body of work in child development. “They connected on Facebook a few months back and kept in touch. The two bonded over many common interests in their lives. Curiously, both are good friends with singer-songwriter Sahana Bajpaie, who currently lives in London,” said the source. About the rumours doing the rounds, the maker of ‘Autograph’, ‘Chotushkone’, ‘Jaatishwar’, ‘Ek Je Chhilo Raja’ and many other popular movies, said, “I can’t comment on this.” This was incidentally Mithila’s third visit to the city and from the looks of it, there will be many more in the coming months. A “weekend actor”, Mithila has been part of TV serials like ‘House Full’, ‘Anti Clock’, ‘Punch Clip’, ‘Batch 27’, ‘Prem Keboli Ekti Rashayonik Bikria’, ‘Landphoner Dingulote Prem’, ‘Anger Story’ and others. She is also a theatre artiste and a painter.